One of the unique aspects of our Hand Crafted Elegant albums is the inclusion of page gilding - the metallic foil finish on the outside edge of the album pages. 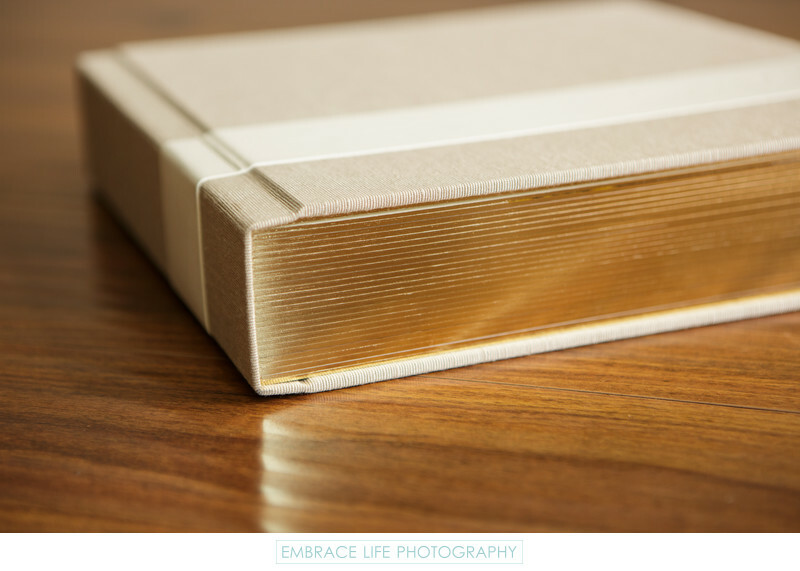 This Calamigos Equestrian wedding photography album has gold page gilding, a platinum Japanese book cloth cover and a horizontal stripe of ivory leatherette featuring the bride and groom's debossed names pressed into the stripe. This 12x12 Elegant Album was made for the couples' parents. The album's warm exterior design is perfectly complimented by the ivory mats and white liner on the insider pages. Location: 480 West Riverside Drive, Burbank, CA 91506.